The Leverage Training Video Library gives members access to top-performing training programs and presentations that have been developed and vetted by their peers. View a sample of the content below, and reach out to your Manager or Marketing contact at your firm for more information. Leverage Global Partners is Proud to partner with Katie Lance Consulting to offer a live social media webinar series, available exclusively to Leverage Partners & Associates. Click here for more information. 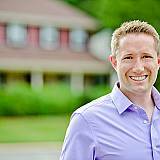 Jason Ellis, Lead Broker – The Ellis Group The Leverage “Just Ask” program is top notch. I received and closed an inbound referral for a family relocating from San Francisco to the Denver area, who was referred by a family friend. It was a win-win situation, the referring agent had the peace of mind that their friends would get to work with a first-class agent, in addition to the referral fee they received on a $1,100,000 sale. While I got to add a new family to my Sphere of Influence and close a deal I would not have otherwise. Thank you Leverage for connecting the best agents so that we can extend our unparalleled level of service anywhere real estate takes our clients!